On a recent Sunday, Joe and I visited the Museum of Fine Arts in Boston. There’s an extensive exhibit of works by Japanese artist Katsushika Hokusai there now that includes woodblock prints, paintings, illustrated books, and cut-out dioramas. The collection of Hokusai’s work on display there is so vast that I found myself thinking, “Did this man ever sleep?” Room after room after room after room (all with intriguingly well-chosen wall colors, I might add) of his work kept unfolding in front of us—spanning some 60 years—and divided into categories of nature, fantasy, landscapes, and the urban culture of the Yoshiwara pleasure district and the Kabuki theater. I’m always captivated when an artist is able to create images that are both graphically pleasing from a distance, yet intricate and delicate when viewed up close. Such is the case with these Hokusai images, which hold surprising and tiny pleasures in subtle patterns laid down in intricate variation in the rows of feathers of a bird’s wing or in the trim of someone’s robe. Perhaps the most popular and well-known of the groupings was the Thirty-six Views of Mount Fuji display, making it a challenge to view when there is a crowd. They are small works and require closeness when viewing them. I’ll have to make another visit to the MFA Boston on a weekday to get a more intimate look at those. 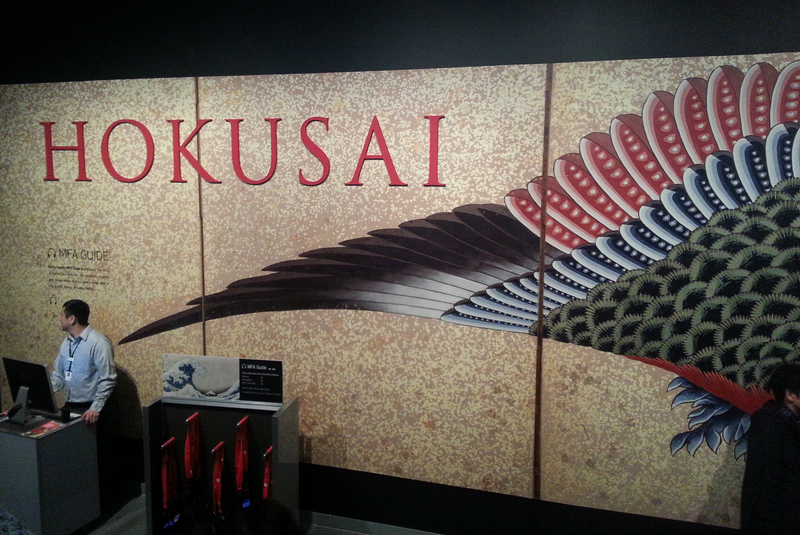 I definitely recommend this exhibit if you have the chance to visit. It’s there until August 9th. 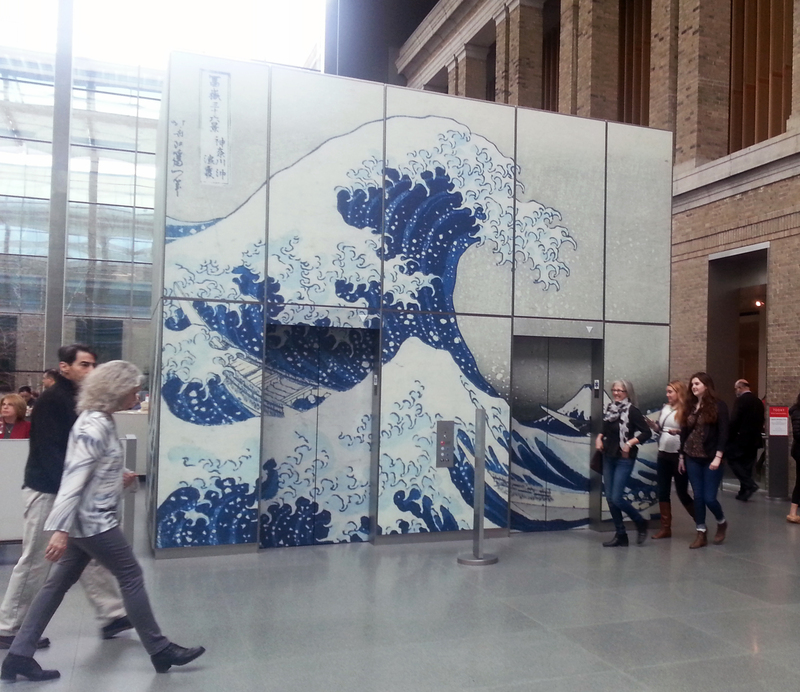 More about the MFA Boston’s Hokusai exhibit. Visit my own ARTIST PAGES.